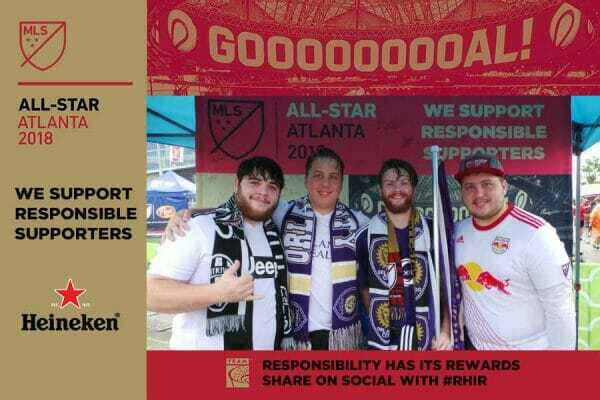 Major League Soccer (MLS), HEINEKEN USA and TEAM Coalition encouraged supporters to be responsible while attending the 2018 MLS All-Star Game and Soccer Celebration on Wednesday, August 1, 2018 at Mercedes-Benz Stadium in Atlanta, GA. 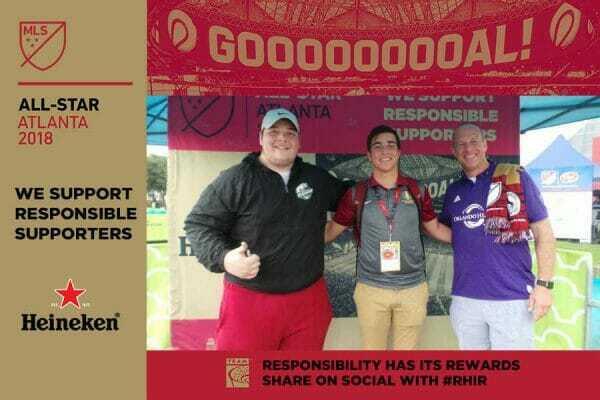 The Responsibility Has Its Rewards sweepstakes winner had the ultimate MLS supporter experience. 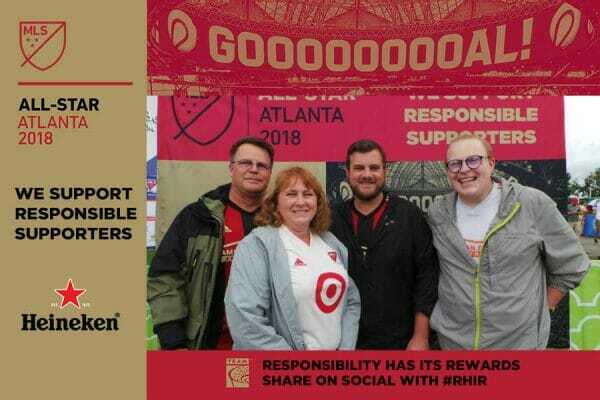 Responsibility Has Its Rewards is a league-wide sweepstakes that rewards one randomly-selected supporter who pledged to be a designated driver during the previous season with a trip to the MLS All-Star Game. 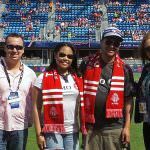 This year’s winner is Crystal Shively, a responsible Colorado Rapids supporter who attended the MLS All-Star Game with her guest, Rob Shively. 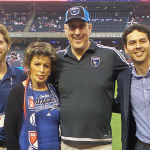 Crystal served as the representative of the 52,015 MLS supporters who pledged to be responsible at during the 2017 season. 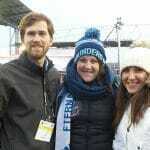 Before the match, 263 supporters pledged to be responsible at the Soccer Celebration. One lucky fan was selected at random to win an MLS All-Star jersey during halftime of the match. Everyone who made the pledge never to drive drunk had the opportunity to autograph the responsibility wall and receive a free souvenir photo displaying the responsibility message along with All-Star images. Fans shared their digital photos and the responsibility message by posting photos on Facebook and Twitter. The 105 photos taken before the race were viewed 290 times, an average of 2.8 views per photo. 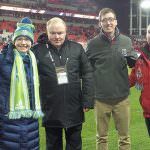 MLS clubs promote responsible drinking among soccer supporters by implementing designated driver programs at their stadiums throughout the season and training employees in effective alcohol management. TEAM Coalition is an alliance of professional and collegiate sports, entertainment facilities, concessionaires, stadium service providers, the beer industry, distillers, broadcasters, traffic safety experts and others working together to promote responsible drinking and positive fan behavior at sports and entertainment facilities. TEAM Coalition members and supporters include Major League Soccer, HEINEKEN USA, Spectra, Major League Baseball, NASCAR, National Basketball Association, National Football League, National Hockey League, National Collegiate Athletic Association, Americrown, Aramark, Delaware North Sportservice, Legends, Beer Institute, National Beer Wholesalers Association, Anheuser-Busch Companies, Constellation Brands, MillerCoors, Brown-Forman, Live Nation, National Association of Broadcasters, International Association of Venue Managers, Stadium Managers Association and the National Highway Traffic Safety Administration. For more information visit www.TEAMCoalition.org or www.FansDontLetFansDriveDrunk.org.